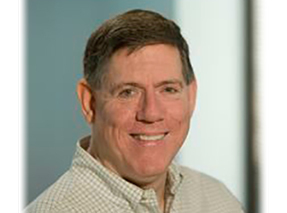 Robert Whalen is Chief Scientific Officer at Altravax (since 2010) and more recently at Maxygen (since 2017), both in Sunnyvale, California. He oversees multiple programs applying molecular breeding to the creation of novel products in many areas of biotechnology from enzymology to therapeutics and vaccines. Previously, Whalen was Director of Infectious Diseases at the original Maxygen (1999-2009), where he began to apply the molecular-breeding directed evolution approach to vaccine discovery. Prior to entering the biotechnology industry in 1999, he spent 27 years in France as a staff scientist and group leader at the Pasteur Institute in Paris. Much of his early work was centered on studies of muscle development. He was an early contributor to the development of DNA vaccines and has published a number of articles in that field. In 1995, he created The DNA Vaccine Web site (now DNAvaccine.com) and served as a consultant to several biotechnology companies. From 1986-1996 he was a member of the Scientific Advisory Board of the French Muscular Dystrophy Group. He is the author of some 120 scientific papers, reviews, and book chapters in the fields of biochemistry, gene expression, developmental biology, molecular physiology, gene transfer, vaccinology, immunology, and directed evolution. Robert Whalen obtained degrees from the Pennsylvania State University (B.S., 1970), Harvard University (A.M., 1974), and the French National Center for Scientific Research (D.Sc., 1991).